You've gathered inspiration, created a lovely focal print and perfect coordinates. 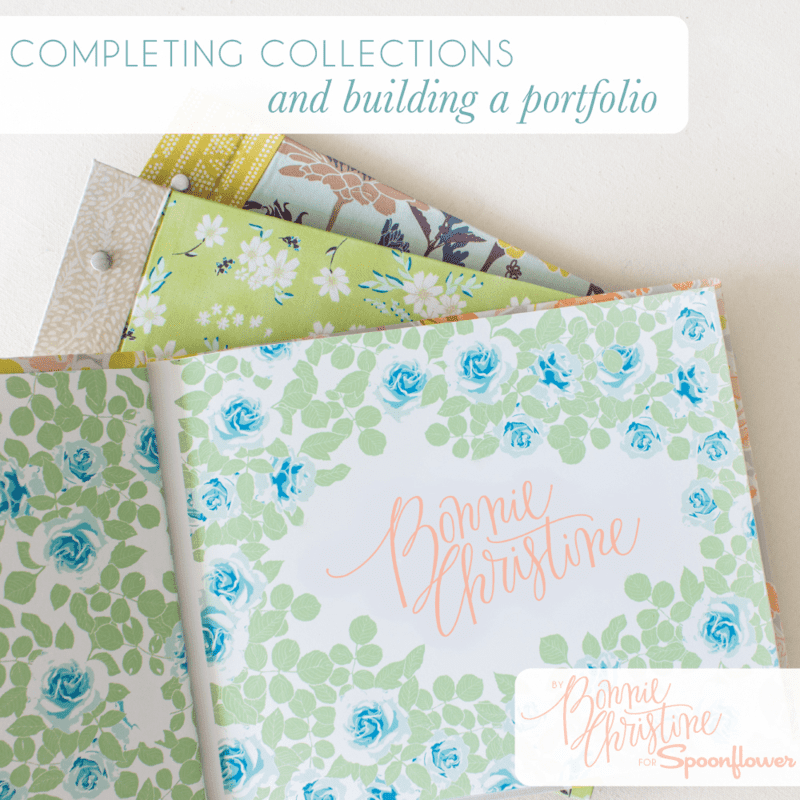 In our last post from Bonnie Christine as a part of our SpoonChallenge, she shares how to put the finishing touches on your collection by building a professional portfolio. Working in collections, finalizing your designs and completing a body of work will really help to round out your experience and expertise as a pattern designer. Offering patterns in complete collections will give the end user an immense amount of options and opportunities to use your prints. 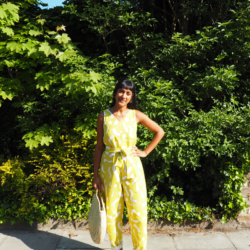 From making large focal print dresses to small coordinate bags and quilts. The possibilities are endless! Another wonderful incentive to working in collections is the finalized body of work it will give you in the end. Having an array of finished pattern collections that you're proud of will show the breadth of your work and open up opportunities for you as a designer. One thing you might want to consider after you've finished a few collections is making a pattern portfolio. No matter how beautiful your work is, it won’t sell if it’s not presented in a polished, professional way. For me, presenting a finished body of work in a well thought-out portfolio was an essential part of moving my career forward as a creative. I believe making a handmade portfolio that is a true reflection of yourself and your work can absolutely help advance your career, too! Crafting your own portfolio can be such a creative, fulfilling project, and definitely a labor of love as many, many hours go into the precise planning, designing, printing, and binding of the book. you can see a few images of mine below. I absolutely love watching it come to life! Here are a few things to keep in mind as you begin to designing your portfolio. What to include. Portfolios can range from simple to complex, and there's really no right or wrong answer. 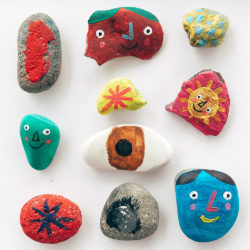 Take some time to decide what you'd like to portray in your portfolio and jot down the pages you would like to include. A simple portfolio could only include a collection or two and a contact page. A more complex portfolio might include a table of contents, about page, several collections with stories, mockups, social media & blog page, contact page and more! Who will see it. Do you know who you'd like to show your portfolio to? Having an end viewer in mind (an art director, publisher, professor, etc) will help give your entire book direction. Keep this person (or group of people) in mind as you decide what to include and begin designing its pages. How to stand out from the crowd. The world of surface pattern design is buzzing with designers and companies will often times review 100s of portfolios a week. That's why it's important to stand out from the crowd! When designing your portfolio, pour yourself and lots of love into every detail. Make it a true reflection of you brand and yourself as a designer. I like to say your portfolio should be 'you in a book'! Showing your work. Of course, showing your work isn't easy and I want to recognize that. As designers, we pour every ounce of ourselves into our work and it can feel very vulnerable to start sharing it with the world. I want to encourage each of you to show your work though, because without sharing it no one will ever see it! We have all received rejection and criticism before, but there's always something to be learned throughout the process. Sharing your designs, patterns and process with the world will always pay off in the end. We can't wait to see what you create! I'm so passionate about having a professional portfolio, I recently taught a class on it! If you're interested in learning more about creating a handmade portfolio, how to design and print the pages and how to build and bind your own book, you can check out my new brand new skillshare course: design & bind your own creative portfolio (which is a great follow up to my first two classes, intro to surface pattern design and surface pattern design 2.0)! What's your favorite part about designing in collections? Have you made a portfolio? If so, where would you like it to take your career? We'd love to hear more about your work, so share with us in the comments section, or on your favorite social media platform using hashtag #spoonchallenge! 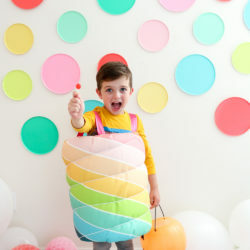 Missed some of our SpoonChallege: Creating a Fabric Collection posts? No worries–all of the content is available here! 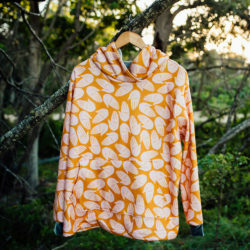 Bonnie Christine is a fabric designer for Art Gallery Fabrics, teacher and creator of Going Home to Roost. In addition to teaching Adobe Illustrator and sharing all that she knows with the Roost Tribe, you can find her working in the garden and spending time with her husband and children. 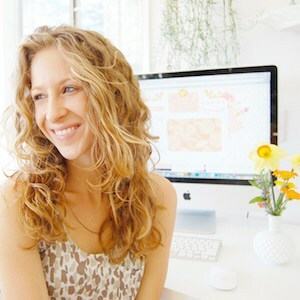 Join her in living an extraordinarily creative life on her blog, Going Home to Roost! 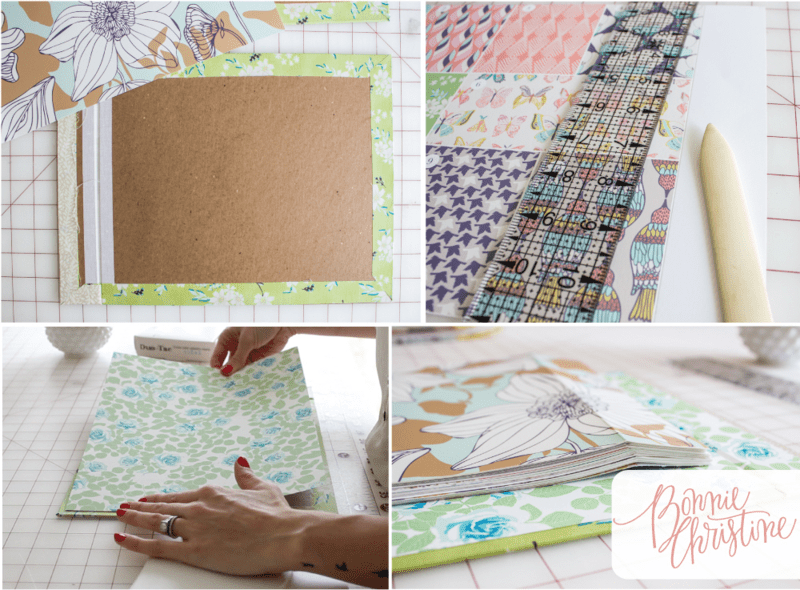 What a great idea to make a portfolio from your own Spoonflower wallpaper! I made my own portfolio many years ago from silk and I nearly went crazy adhering the fabric to the covers without the glue soaking through – this is such a better and very wonderful idea! Thanks! Agreed! We love this simple idea for putting together a professional portfolio and we're happy to hear you're exciting about it, too! WOW! Absolutely gorgeous finished product, Bonnie. Truly something to be proud of!